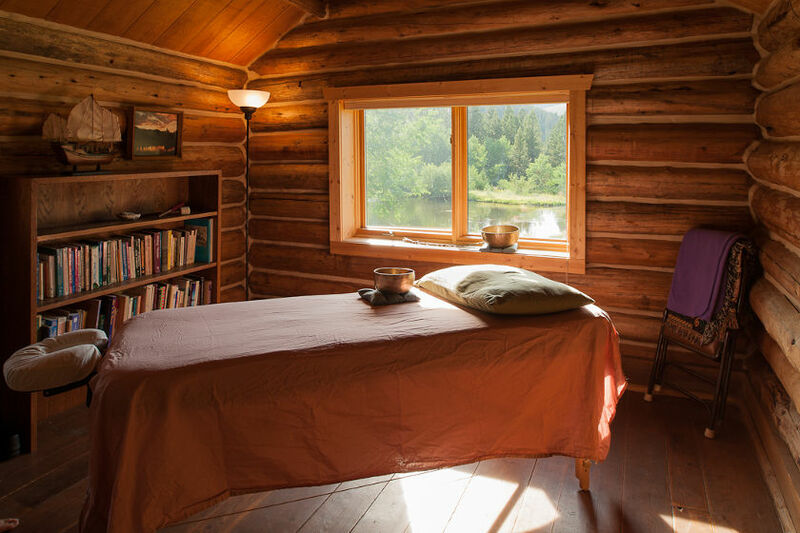 Feathered Pipe Ranch massage and bodywork specialists are internationally recognized and have rightfully earned their place as some of the most compassionate and skilled healers practicing today. Our practitioners offer a broad range of modalities that support our guests as they to dive into deep states of relaxation, stress relief, and healing to enrich their overall Feathered Pipe experience. Our massage and bodywork staff will greet and introduce themselves at orientation, right after dinner on arrival night. You may sign up for appointments then as their schedules for the week typically fill up quickly. After that, you can saunter off to the sauna or the hot tub to relax and snuggle in to your lodging for the night knowing you have begun one of the most beautiful weeks possible. Michael Fraser, CMT is a shaman, bodyworker and energy healer. 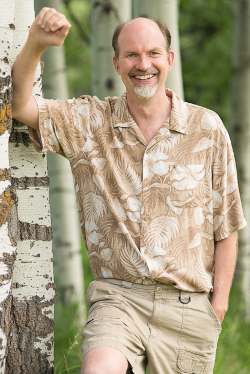 He is known for his very thorough “Deep-Process Transformational Healing Sessions” combining leading edge bodywork with traditional shamanic and energy techniques to help heal chronic and “stuck” health challenges. He practices internationally in cooperation with medical doctors, psychotherapists, yoga teachers and other health professionals who trust him to bring a powerful energy healing component to their clients. His clients are especially grateful for the immensely practical quality of his insights and counsel. Long-time clients, many of whom travel great distances to give themselves the gift of a session with Michael, praise his powerful intuition in diving deeply and precisely into the places in their hearts and bodies where openings are most needed – always with love, always with joy, always with compassion. His goal is to aid people in awakening to their fullest health and peace. Incorporating multiple modalities as appropriate for each individual, a session with Michael may include a combination of deep energy process work, craniosacral therapy, acupressure, traditional Swedish and Esalen-style massage, and more. Michael’s work goes far beyond technique, however, steeped as it is in the healing power of Presence and Listening to support the unwinding and releasing of deeply held tension in the body and psyche — opening to, and aiding the integration of, the inherent wisdom and mystery that comes with such releases. Michael Fraser has practiced at the Feathered Pipe for over 16 years and developed and refined his technique at the Ranch. He considers Feathered Pipe to be a spiritual home and loves practicing here as it is ideally suited for deep healing work. 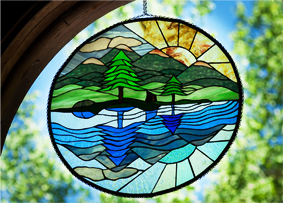 Jennifer Daly’s Inner Rivers Healing Arts practice promotes the Alchemy of Wellness through the art of ancient Chinese Medicine and teaching the movement therapy of Qi Gong. To each client Jennifer brings a wealth of experience from her extensive training in China and the US. 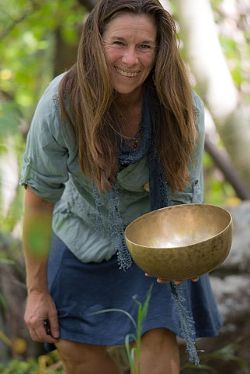 Sessions with Jennifer reflect a powerful, transformative form of bodywork that incorporates the disciplines of Chinese medical massage (Tuina), Medical Qi Gong, Osteopathic Therapies, Structural Acupressure and Sound Therapy. This unique therapy combines passive movement, gentle traction with acupressure points to resonate and integrate qi flow throughout the skeletal structure, neuromuscular system, viscera and meridians. Special acupoint fulcrums are applied with passive movement that allow the body to unwind from a state of density to a fluid harmonious resonance that enhances tranquility. Specific attention is given to alignment and awakening wave form patterns of the structure and energy body at the bone level. Integrated within a session is the art of Sound Acupressure from the ancient Tibetan singing bowls that work with overtones within the structural, energetic and light fields of the body. These ancient healing art therapies support the body’s innate wisdom to be the healer, allowing for integration of yin-yang balance and alignment within one’s core being. Jennifer is a licensed Massage Therapist, certified Asian Healing Arts Practitioner, and certified Qi Gong Instructor. Since 1998, Jennifer has earned eight residencies in China training in Medical Qi Gong with Masters in Beijing. She trained extensively at Oregon College of Oriental Medicine with Qi Gong Master Professor Chen Hui-Xian earning instructor certifications in Medical Qi Gong. She has taught Qi Gong nationally as well as internationally and offers Qi Gong teacher certifications. In addition to her private practice based in Montana, clients from a global community continuously extend invitations to share this unique therapy and teachings. To learn more about these ancient healing arts of see Jennifer’s web site Inner Rivers Healing Arts.